Our now famous ID and Passport photo service has served over 1000 happy customers ranging from just 2 weeks old to 93 years young. Our Horden studio has free parking, is flat access so is accessible to everyone. We can provide regulation properly lit specification photographs printed and cut to size in moments. 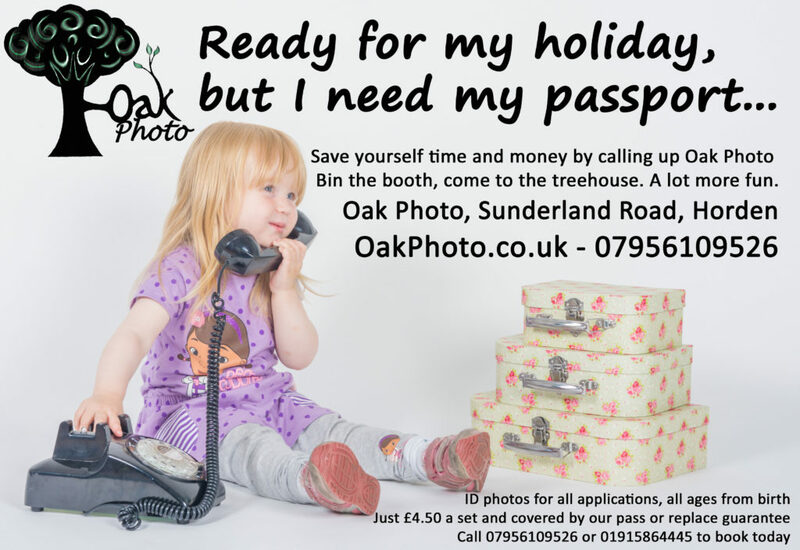 We are often highly recommended by Peterlee main and local sub post offices, local photo labs and of course our hundreds of happy customers. The best part… Our personalised service is cheaper than an automated booth, at just £4.50 for your set of 6 photos and GUARANTEED to pass! We even cut out the passport photos for your form, if you wish, with precision die cutting tools. Our photos are guaranteed to pass or we replace them for free. We can also e-mail the digital files should you need them for online applications. You can even finish your session with a fun portrait the we will process and e-mail you at no cost. Booking is not necessary but is very much recommended to have your session run as smoothly as possible. Call 01915864445 or 07956109526 to book. For your workplace with 5 employees or more, we can bring our equipment to you and provide amazing quality ID photos for your entire workforce, with minimal disruption to your productivity.